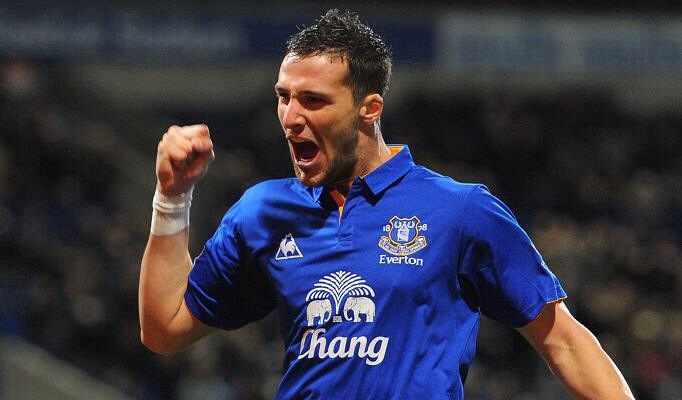 The story emerging from Finch Farm this morning was the bizarre revelation that young u21 striker, Apostolos Vellios has turned down the opportunity to go out on loan and gain valuable first team experience. There have been various rumours circulating over the omission of the Greek centre forward from any involvement with the first or u21 teams, but it now emerges that Vellios has fallen foul of Martinez and is currently floundering with very little football. It seems strange that a professional footballer trying to make his way in the game would turn down the opportunity to fine tune his abilities in a competitive setting. It is a route that has worked successfully for a number of leading players, with Ross Barkley and Leon Osman both spending time away from Everton as they looked to develop their overall games in the Championship. “As a long-term I see him with great potential but in the short-term he needs minutes. “Going out on loan is something we’re going to assess, but going down the line it comes down to if the player is open to do that, and in the past it doesn’t seem like that was something he was ready to consider. If the immediate future is unclear, Everton will hope that having had time to reflect on his actions Vellios will be more willing to accept a loan move in January. With his abilities and sharpness in front of goal Vellios would be a fantastic signing for any Championship side. What are your thought? Should Vellios be given another chance or should the club cut their losses and sell as soon as possible? What losses? He’s cost us very little, so he’s worth persevering with. Slightly shocking though his attitude seems to be.